Foster, develop and improve the knowledge, understanding and practice of the arts in Zimbabwe by encouraging the teaching and practice of the arts and their presentation, performance, execution and exhibition to the public. In pursuit of our vision and mission, NACZ will be guided and uphold the following principles/core values.Creative Diversity Sustainable creative industries are a function of continuous unique innovation. We are a national organisation which recognises the creative mix of the Zimbabwean society. Sustainable creative industries are a function of continuous unique innovation. 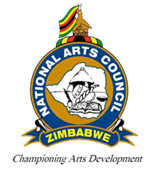 NACZ are a national organisation which recognises the creative mix of the Zimbabwean society. The creative industries comprise many players including producers, promoters and consumers. In the conduct of NACZ business, we will collaborate with these stakeholders. Creative industries are potentially viable businesses. NACZ will promote their entrepreneurship thrust. In pursuit of our vision and mission, we will drive investment in creative industries to generate viable incomes and sustainable livelihoods at all levels. In executing our mandate, we will be guided by best practices and endeavour to provide clients with high quality service at all times. Our execution of duty will always be guided by professionalism, accountability, transparency, honesty and fair play. The loan, which is a revolving fund, is administered through a special Board set up by NACZ. Applications are open to individuals or group artists, promoters, producers and arts organisations who meet specified criteria. NACZ determines, from year to year, amounts allocated per each art discipline. A selection panel of NACZ Board sit to determine deserving artists. This grant is intended to benefit talented young Zimbabweans who have been or can be admitted to post secondary training in Zimbabwe to pursue arts and culture related subjects. The grant is aimed at professionalising the arts. These grants are disbursed to registered arts organisations for administrative purposes. Grants for other projects or programmes are also considered under this facility. Such projects should have an overspill effect in the arts sector.